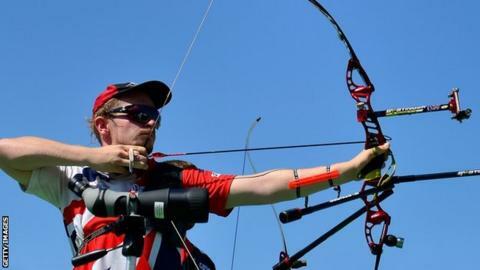 Great Britain's Patrick Huston claimed his first World Cup gold medal at stage one of the 2015-16 Indoor Archery World Cup circuit in Marrakech in Morocco. The 19-year-old beat 2014 champion Italian Matteo Fissore 6-4 in the recurve final. Olympic hopeful Huston, a former junior World champion from Belfast, had equalled his personal best score of 588 qualifying for the knockout stages. The indoor circuit also visits Bangkok and Nimes with the final in Las Vegas.